You’ve seen a few examples of our glitzy workplace furniture, but today we’re spotlighting something a bit more on the practical side: our office chairs! Now it may seem silly to get so excited about such a casual item like a chair, but we kid you not, our Liberty Chairs from Humanscale are from another world of comfort! 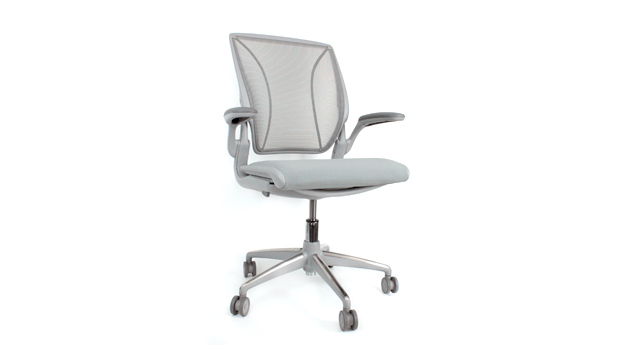 Designed for perfect lumbar support, the tri-paneled, meshed back seating have body-fitting contours that literally hug our backs while we work. At Restorsea, there’s no better sign of appreciation then taking a seat! Well, maybe some chocolate. Photo courtesy of Human Scale.